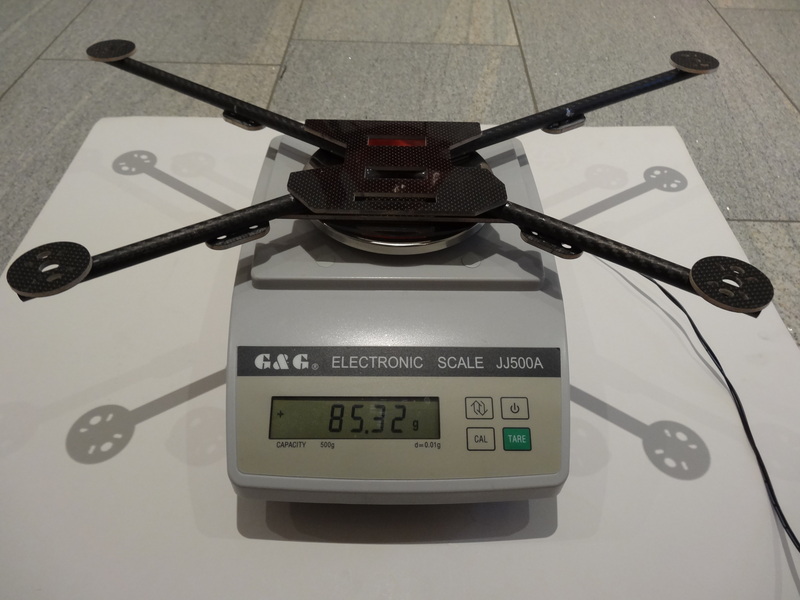 Einen möglichst leichten Quadrocopter zu bauen, der lange Flugzeiten erlaubt, deshalb verwende ich für dieses Projekt möglichst keine Metallbauteile und ersetze sie mit Carbonstrukturen die verklebt werden. Das asymmetrische Design mit grösserem Öffnungswinkel für die Kamera wurde mit Cad Design entworfen (MyQuad) Quelle Forest Frantz. 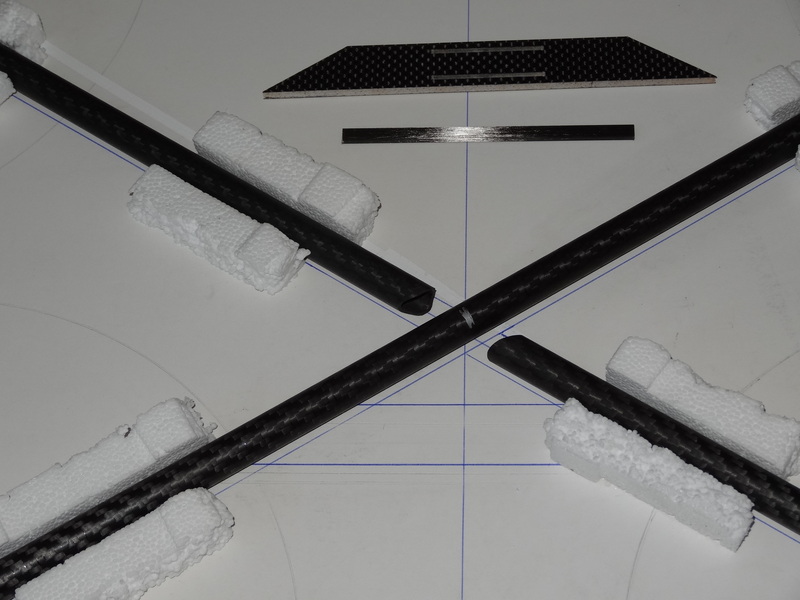 Die Motoren werden mit Nylon M3 Schrauben auf Carbon Balsa Sandwich befestigt. Dies ergibt bei einem Crash eine sogenannte Sollbruchstelle und soll die Carbonstruktur vor einem Bruch schützen. Sämtliche Carbon Balsa Sandwich werden auf die Carbon Tubes geklebt (siehe Bild). Diese Teile konnte ich bei einem Spezialisten problemlos in kürzester Zeit herstellen. (Keiro). Der 2 Komponenten Kleber 3M SW 2216 Scotch Weld 2 K flexibel eignet sich hervorragend, da er eine lange Topfzeit (90 Min) hat und sich durch extrem hohe Schälwerte auszeichnet! Dieser Beitrag wurde am 20. April 2016 von marutin in Allgemein veröffentlicht. Schlagworte: arducopter, carbon, cfk, copter, eigenbau, fixhawk, frsky, leicht, light, px4, quad, structure, x8r. 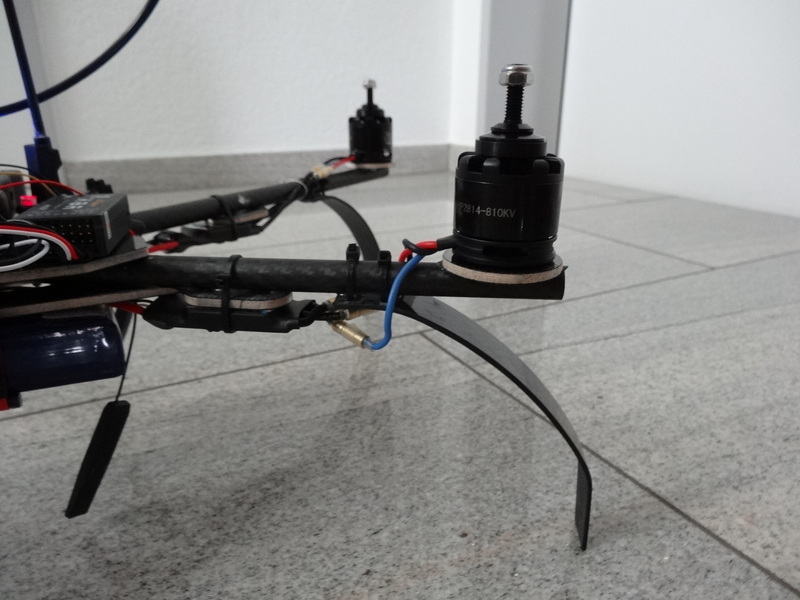 Ein Quadrocopter ist ein Fluggerät, welches den Auftrieb über vier in eine Ebene angeordnete Rotoren erzeugt. 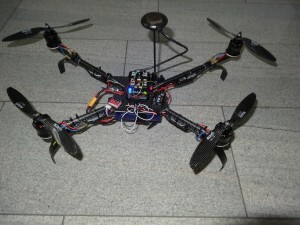 Hier wird der Selbstbau eines solchen Multicopters beschrieben. Einen Quadrocopter entwickeln und bauen, der möglichst stabil fliegt und genügend Reserven besitzt um auch Nutzlasten wie HD Kameras etc. zu tragen. Mission Planner is free, open source software available for Windows. These instructions will guide you through installing Mission Planner on your ground station computer. Go to the Mission Planner download page and click on the “Mission Planner – MSI – Permanent link to latest” and then on the next page push the Download button. Alternatively you can get the MSI directly from this link. As part of first time setup, you’ll need to configure some required hardware components using the Mission Planner. 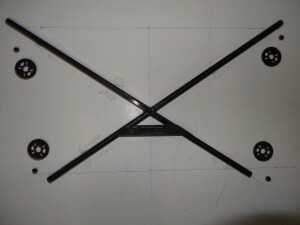 These instructions describe the process for selecting frame orientation and configuring the RC transmitter/receiver, compass, and accelerometer. Because the next steps in this blog involve connecting to the Receiver, you need to turn off power to the ArduFlyer 2.5 board. In Mission Planner, click Disconnect. It does NOT matter which channel you use a 3 wire cable on since all the channels on the board can supply power. The third wire, the Signal wire on that channel connects that channel signal. The rest of the channels you may use ONLY require the SIGNAL wire to be connected. 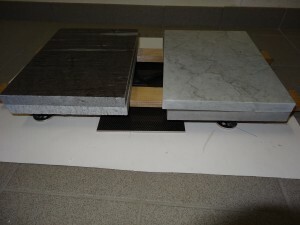 There is no need to have a GND and supply wire connected to every channel as that makes the wiring stiffer, cumbersome and more likely to transfer vibration between the receiver and the vibration isolated board. I use a Spektrum radio so that is what I will be illustrating here, the same principle applies no matter which receiver type you may be using. Single Signal wires from the first 7 channels connected the last channel which decided to use a 3 wire cable to supply power to the receiver has not been connected yet. The channel assignment on the Input headers. Switch on Your Radio transmitter, check that the Receiver Bind light is turned ON, if not you have to bind the receiver to the radio. Move each Joystick to all the 4 corners, operate all switches and sliders. Ideally the range of movement should be between 1000 and 2000, if it is a long way from that you need to adjust your Radio Travel oe End Points, refer to the instructions that came with your Radio. Check that the correct green bar moves for each joystick, if a different bar moves, that means you have your radio channel connection between the Receiver and ArduFlyer 2.5 connected incorrectly, switch your cables around to correct the situation. At this point there are no motors connected so it is safe to test how to arm motors and become familiar with how it operates. 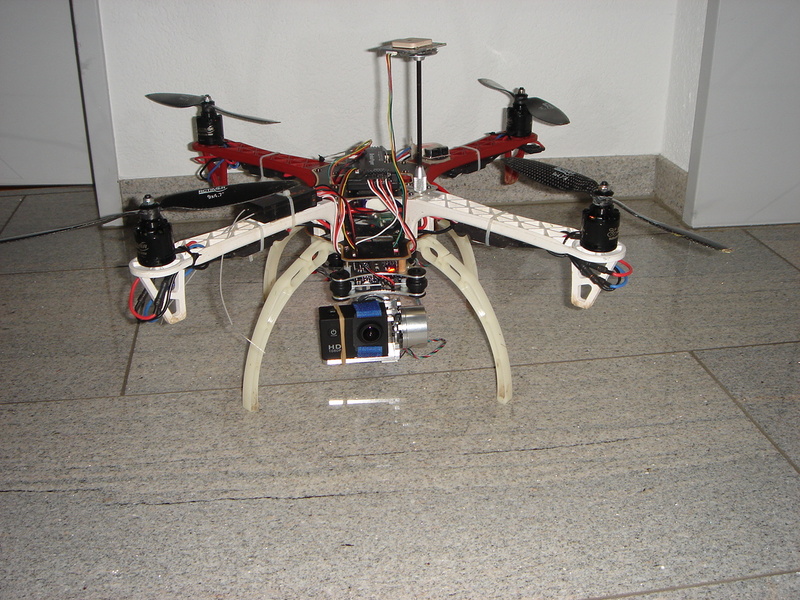 Electronic speed controllers are responsible for spinning the motors at the speed requested by the autopilot. Most ESCs need to be calibrated so that they know the minimum and maximum pwm values that the flight controller will send. 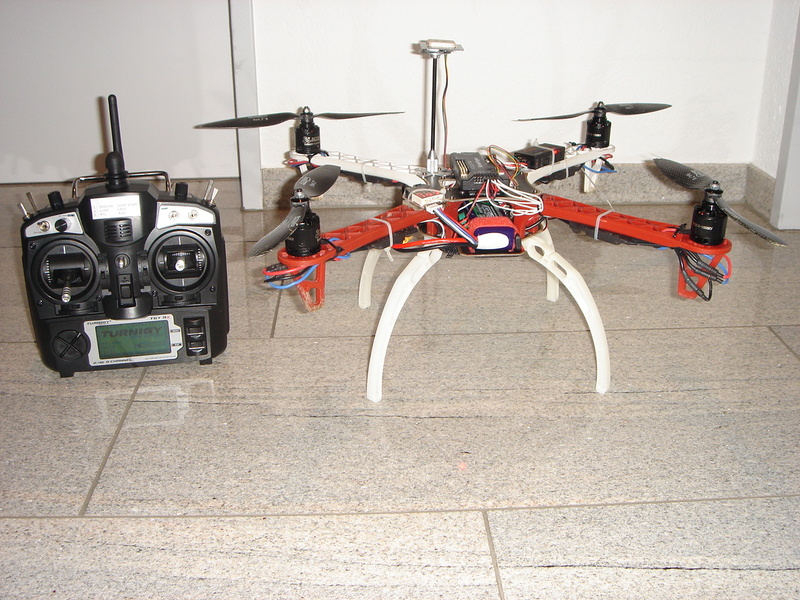 This page provides instructions for calibrating ESCs. Please complete radio calibration before performing ESC calibration. 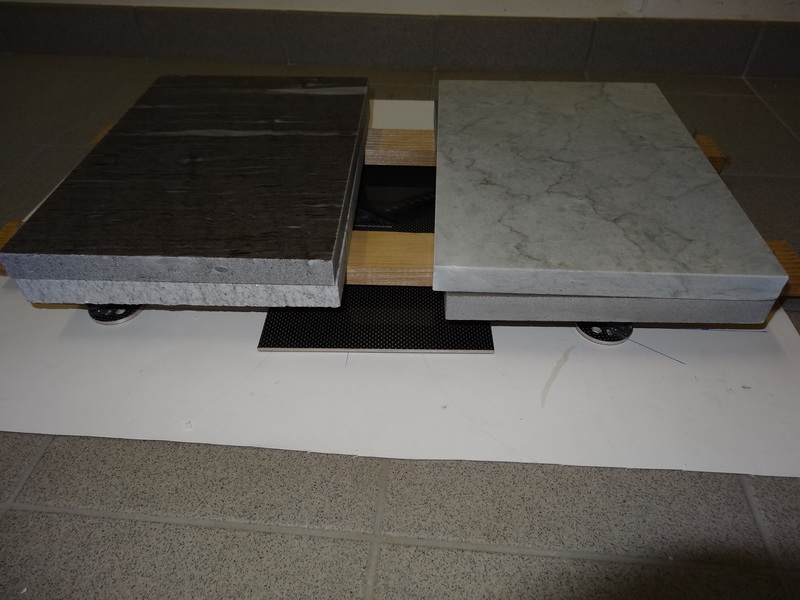 ESC calibration will vary based on what brand of ESC you are using, so always refer to the documentation for the brand of ESC you are using for specific information (such as tones). “All at once” calibration works well for most ESCs, so it is good idea to attempt it first and if that fails try the “Manual ESC-by-ESC” method. For 3DR ESCs can use the “All at once” method. Some brands of ESC do not allow calibration and will not arm unless you adjust your radio’s throttle end-points so that the minimum throttle is around 1000 PWM. Note that if you change the end-points on your TX you must re-do the Radio Calibration. Before calibrating ESCs, please ensure that your copter has NO PROPS on it and that the APM is NOT CONNECTED to your computer via USB and the Lipo battery is disconnected. Turn on your transmitter and put the throttle stick at maximum. Connect the Lipo battery. The autopilot’s red, blue and yellow LEDs will light up in a cyclical pattern. This means the it’s ready to go into ESC calibration mode the next time you plug it in. With the transmitter throttle stick still high, disconnect and reconnect the battery. For PX4 or Pixhawk, press and hold the safety button until it displays solid red. The autopilot is now in ESC calibration mode. (On an APM you may notice the red and blue LEDs blinking alternatively on and off like a police car). Wait for your ESCs to emit the musical tone, the regular number of beeps indicating your battery’s cell count (i.e. 3 for 3S, 4 for 4S) and then an additional two beeps to indicate that the maximum throttle has been captured. Pull the transmitter’s throttle stick down to its minimum position. 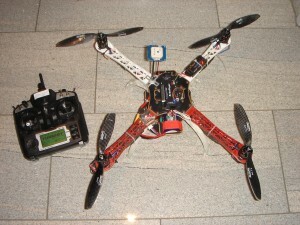 The ESCs should then emit a long tone indicating that the minimum throttle has been captured and the calibration is complete. If the long tone indicating successful calibration was heard, the ESCs are “live” now and if you raise the throttle a bit they should spin. Test that the motors spin by raising the throttle a bit and then lowering it again. Set the throttle to minimum and disconnect the battery to exit ESC-calibration mode. Once you have calibrated your ESCs, you can test them by plugging in your LiPo. Remember: no propellers! Ensure your transmitter’s flight mode switch is set to “Stabilize Mode”. Give a small amount of throttle. All motors should spin at about same speed and they should start at the same time. If the motors do not all start at the same time and spin at the same speed, the ESC’s are still not properly calibrated. Calculates offsets to compensate for “hard iron” distortions by chasing the white dots. Push the “Live Calibration” button to start the calibration. A window will appear that shows a sphere (or two if your flight controller has two compasses) with a red dot showing where the compass is pointing. As you rotate the vehicle you will notice the red dot moves and (perhaps confusingly) the sphere itself also rotates. A colored trail is left behind wherever the compass has already been. On the sphere are six targets shown as white dots. Rotate the vehicle so that the red dot reaches each white dot and causes it to disappear. When all white dots are gone you can push Done to complete the calibration and save the offsets. The final offsets will be displayed (3 numbers for each compass), if all these numbers are below 250 then you can assume they are good. If you missed the numbers they can be seen as COMPASS_OFS_X, Y and Z in the Advanced Parmaeters list. If the numbers are very high it may indicate there is some metal near the compasses. The video below is from earlier versions of the calibration routine but may still produce good offsets. Live Kalibrierung Kompass und unter Motoren! This is recommended for vehicles that have only an internal compass and on vehicles where there is significant interference on the compass from the motors, power wires, etc. CompassMot only works well if you have a battery current monitor because the magnetic interference is linear with current drawn. It is technically possible to set-up CompassMot using throttle but this is not recommended. At the prompt type setup and then compassmot. Check the % of interference displayed. If it is less than 30% then your compass interference is acceptable and you should see good Loiter, RTL and AUTO performance. If it is 31% ~ 60% then the interference is in the “grey zone” where it may be ok (some users are fine, some are not). If it is higher than 60% you should try moving your APM/PX further up and away from the sources of interference or consider purchasing an external compass or GPS+compass module. Fly your copter in Loiter mode in at least two directions and ensure that after a fast forward flight you do not see any circling (also known as “toilet bowling”). If you find it’s impossible to tune away the circling then it’s likely your compass interference is will require an external compass or GPS+compass module. Dieser Beitrag wurde am 25. Oktober 2014 von marutin in Allgemein veröffentlicht. Schlagworte: apm, ardupilot, carbon, copter, drohne, f450, flugkontroller, frsky, gfk, gimbal, lipo, missionplaner, multicopter, propeller, quad, turnigy.